This is a Significant Operational milestone. 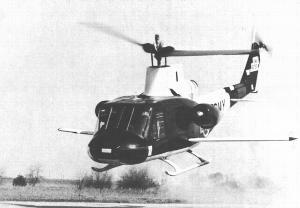 The Bell 533 HPH (High Performance Helicopter) was a compound research helicopter. The speed was achieved in level flight with the 2-blade main rotor configuration. This is an unofficial speed record that remains unbeaten.